Whether you're looking for a reseller solution or just have a few domains you wish to host, a MyData unlimited domains reseller account is a great way to get the maximum in flexibility and reliability out of your hosting experience. Our reseller accounts are hosted only on the highest quality Dual Core Intel servers with fully redundant connections and Raid 10 SCSI hard drives. 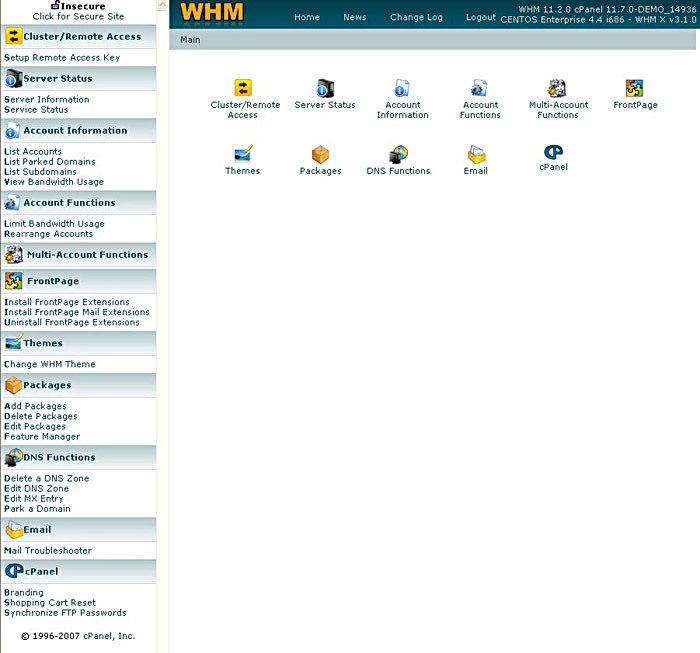 All reseller accounts come with fully brandable WHM/cPanel installation! WHM allows you to administer individual client accounts, make custom packages, performing basic system & control panel maintenance via a secure interface. View reseller stats, make DNS entries and many more. 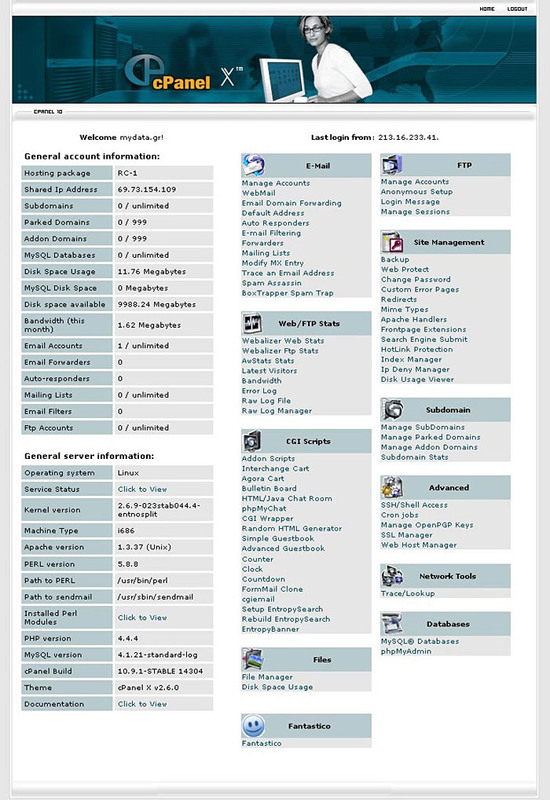 cPanel is designed for your clients and allows them to control everything from adding email accounts, ftp accounts, view stats, instant adding scripts to administering MySQL databases, etc. We offer an affordable way for you to get into the Hosting Business. Our Reseller Hosting allows you to keep your costs low while building an income for your online business and you get to keep 100% of the money you collect. Now you can have your web site hosted while offering the hosting services to others all with one reseller account. If you need a host with fast and reliable servers, great uptime and a competent support staff then our reseller hosting packages are for you.